The lineup to the Coachella 2012 music festival has recently been announced and boy, this year’s festival is definitely not one to miss. Officially known as The Coachella Valley Music and Arts Festival, Coachella is held in Indio, California each year and has been since 1999. 75,000 people are expected to attend the festival this year with 3 day passes. Coachella 2012 is for the first time being held over two weekends during April from the 13th to 15th as well as between the 20th and the 22nd to deal with high demand in previous years. Luckily however, all acts that are playing at Coachella will be appearing during both weekends so you won’t have to choose between seeing two of your different favourite bands. The headliners for Coachella 2012 consist of The Black Keys on the Fridays, !!RADIOHEAD!! on the Saturdays and Dr. Dre & Snoop Dogg on the Sundays. There’s something for everyone during this years Coachella with a remarkably varied selection of artists. Other notable appearances include a Pulp reformation and Arctic Monkeys on the Fridays, and Bon Iver and The Shins on the Saturdays. 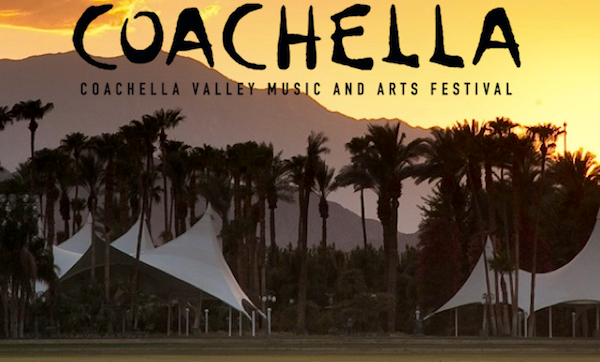 In total there are 137 acts performing at Coachella this year, a list of which can be found here and to see the official Coachella 2012 lineup poster visit this page. Unfortunately, tickets for Coachella 2012 sold out shortly after they originally went on sale but you can find Coachella Tickets here still so make sure you get yours while you still can. Jónsi, the singer of the Icelandic band Sigur Rós has recently written the score for the film ‘We Bought A Zoo’. The soundtrack to the film contains two original songs by Jónsi, Ævin Endar and Gathering Stories which you can listen to now on Jónsi’s site. 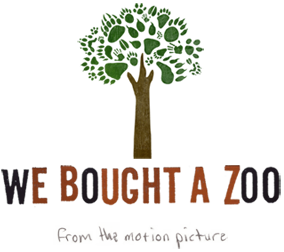 We Bought A Zoo stars Matt Damon alongside Scarlett Johansson and is about a family that use their life savings to buy a rundown zoo in the English countryside. The film was directed by Cameron Crowe, the same man behind Almost Famous as well as Vanilla Sky (which also featured the music of Sigur Rós) and is set for release on the 23rd of December 2011. If you want to hear the rest of the ‘We Bought A Zoo’ soundtrack, be sure to visit rollingstone.com tomorrow where it will be available to stream for free. Discovr Music is an iPhone and Mac OS X application to help you find new music. It works in a similar way to last.fm but instead of listing similar music acts, it displays suggestions graphically in interconnected webs. There is also a version to show similar iPhone apps called Discovr Apps. There are some negatives to this application though. It’s only available on the iPhone, iPad and Mac OS X 10.6 or later which means Windows or non-iPhone users can’t use this resource at all. It’s not a free application (£1.49 from the iTunes and the Mac App Store) which will put a lot of people off trying it and isolate it further. A few negative reviews were also submitted. One person commented that it had returned Red Hot Chili Peppers for both Incubus and Ed Sheeran searches and a few others report it returning no results whatsoever. Possibly more people need to start using the app for it to gather more details and be able to offer less vague and generic results but for this, I think a larger reach is necessary. Regardless of the down points though, it’s definitely an interesting concept that’s worth sharing and will hopefully be expanded, possibly to other areas such as films. Le Internet medley genius song/video produced by the Israeli rockers The GAG Quartet. It’s an incredibly tight and well produced video with some hilarious, and often quite subtle, meme references throughout. Le Internet Medley has been on youtube for just 9 days now and has already racked up over 5.5 million views. As far as I can make out, the medley goes: Nyan Cat, Ievan Polkka (Leek Spin), Keyboard Cat, Trololo, Chacarron Macarron, Numa Numa, Rebecca Black’s Friday, Rick Astley’s Never Gonna Give You Up, Chocolate Rain and then back to Nyan Cat. There’s allegedly 40 memes in total but sadly still no Milhouse. 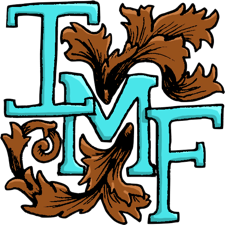 Oh and I stumbled upon this video through a friend who makes some pretty cool, homemade music here. cloudeater are a pretty extraordinary band out of Atlanta, Georgia and with the release of their debut full length album ‘Sun and Sidearm’ in September, the band have put together this video for ‘Hardly Wait’, the 3rd song on the album. Their sound often feels like a hybrid between the panicky, hectic rhythms of some of Thom Yorke’s solo stuff and the brooding atmosphere of Massive Attack. cloudeater’s music also features some intense stormy buildups, just have a look at some of the wave shapes of the tracks below and see the kind of dynamics these guys put into their music.